Los Angeles, CA- Professional trade show booth presenter and engagement consultant Don Colliver facilitated his "Cirque to Work" training workshop at the Century City Toastmasters Club in Los Angeles on August 30th, 2017. Members of Century City Toastmasters participated in group and solo activities, learning about next level engagement and and the value of vulnerability for more effective group communication. 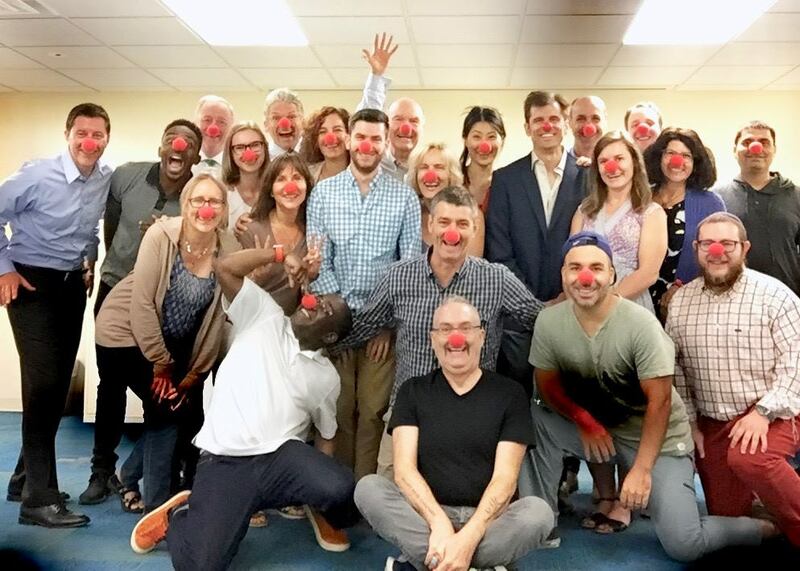 Los Angeles, CA- Professional trade show booth presenter and engagement consultant Don Colliver facilitated his "Cirque to Work" training workshop at the Toastmasters Leadership Institute in Los Angeles on July 15th, 2017. Executive Leadership from throughout Toastmasters' District One participated in group and solo activities, learning about next level engagement and and the value of vulnerability for more effective group communication.